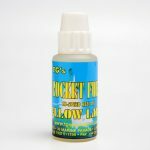 Yellow Label was the first in the TG Developments range which was discovered and developed for use initially with the centrifugally braked ABU Ambassadeur 6500CT and other models in the 5000, 6000 & 7000 ranges by Tony Gittins in 1987. 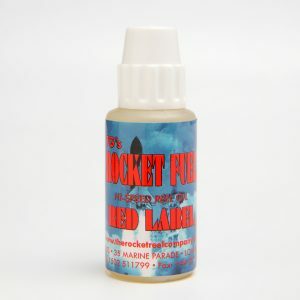 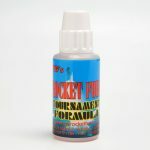 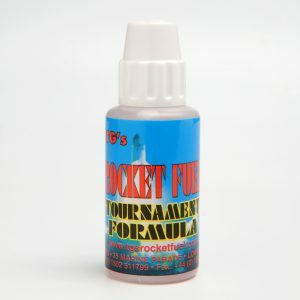 Similarly sized reels from other manufactures such as those from Daiwa, Dam, Shimano, Penn etc., also saw dramatic improvements in their performance when using Rocketfuel. Subsequent technical developments, such as magnetically controlled braking systems, and our own ceramic Rocket Bearings have created a need for a greater variety of products, which allow the individual user to maximise their potential with liquid control.